One of the most iconic and influential subjects in science fiction in general are mecha or mechs. These giant humanoid robots often play signficant roles in their respective fictional universes and most of the time are militarized to serve as offensive or defensive war machines as part of a story's main plot. This is fairly common and proliferated in Japanese anime and pop culture. A good example would be the prevalence of mechs, or mobile suits as they are called, in the Mobile Suit Gundam universe and its spin-offs. Mechs are also present in another famous title, Neon Genesis Evangelion, which use these bio-machines to battle the Angels, giant monstrous entities with the sole purpose of annihilating humanity. Last but not the least, the Macross series also makes use of mechs in the form of the variable fighter, which could transform into humanoid or jet fighter mode at its pilot's will. 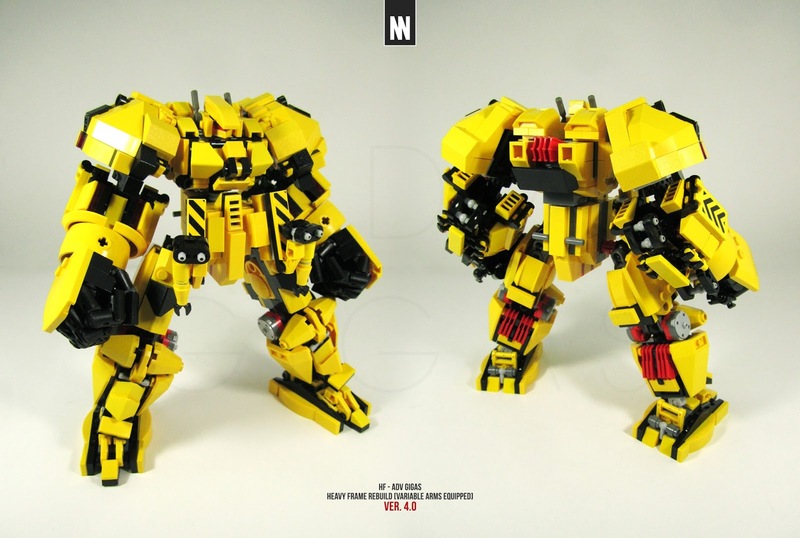 A lot of amazing mech designs have surfaced over the decades and this has captured the attention and passion of a lot of fans, which made model kits based from these franchises extremely popular. There are brilliant people who tend to merge their love for mechs and Lego into one as they use bricks to create highly-detailed and well-articulated robots to satisfy their passion to build something of their own. 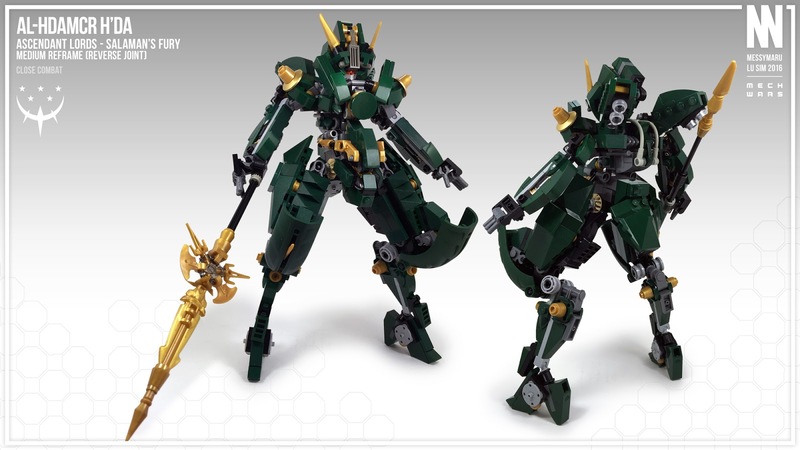 One such fellow is Macross' main mech designer, Shoji Kawamori, who makes use of Lego bricks when designing variable fighters for the series. In the Philippines, we have our very own, Lu Sim, Nothing But Brick's August Builder of the Month, who is known to be one of the best mech builders in the local Lego community. 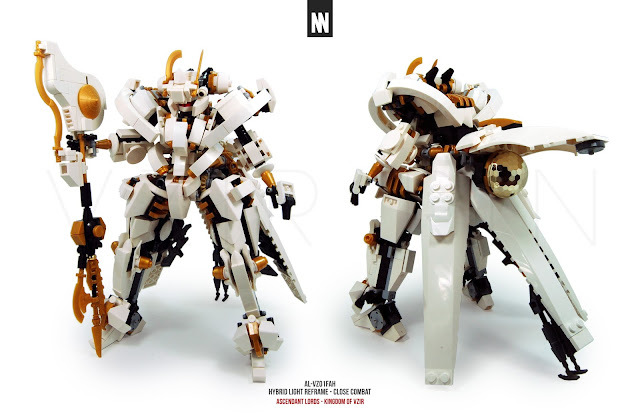 Like AC Pin's work, I've been following Lu's masterpieces and have been impressed with how detailed and well-designed all his mechs are. Looking at his work gives you the impression that a lot of thought and effort were put into each and every one of these mechs with each one meticulously designed down to the smallest of details. It's also interesting to mention how Lu manages to make use of Lego pieces in very many innovative ways. With his creativity, the design possibilities are indeed limitless. Take a look at some of his amazing mechs. I did and I learned many building techniques from these! 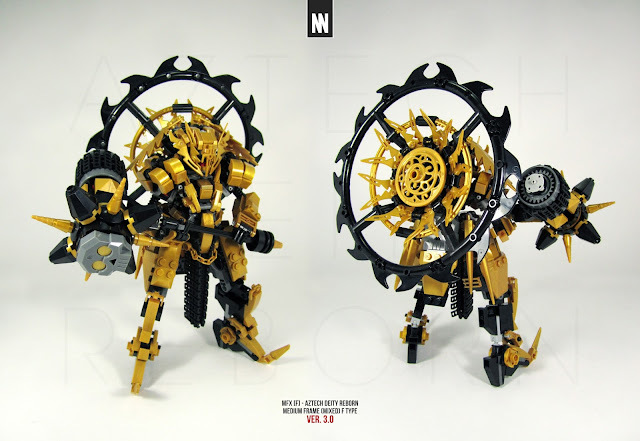 Read on to know more about Lu and his passion for mechs and Lego. Find out what inspired him to pursue mech building and learn who his influences are. Take note of his thoughts on the importance of design in the building process as well as setting a personal standard to improve the quality of his builds. What is your earliest memory of Lego? I was fortunate enough to have some Lego as I grew up in the 90's. Nothing fancy with just basic bricks and some figs to play with. I'd get a few new sets for holidays or birthdays but nothing huge as Lego was insanely expensive locally. How long have you been collecting bricks? Counting exclusively when I came back to Lego, 3 years (since 2013). But if I'm counting since I was a child, as I still have the bricks and containers I used back then, that's almost 20 years? Which Lego theme is your favorite? I was a huge fa of the space themes back in the 90's and even had this clunky black and red robot from the Spyrius theme (6949 Robo Guardian). I always had a thing for robots and was just fascinated as a kid having this set (omg magnets!). I do remember dismantling it and making first a jet, then later a black and red robot with articulation. 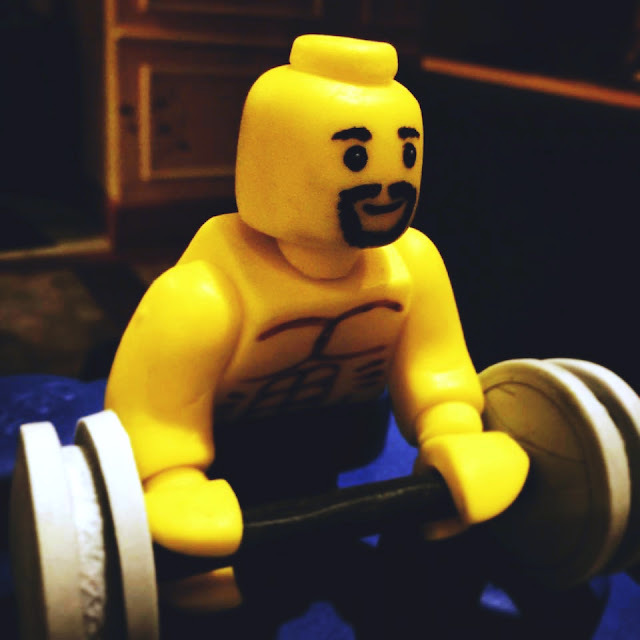 What is the first Lego set you acquired? I remember having this glider plane with propellers that was given to me by my dad and that was one of my most treasured sets being a kid. The first set I bought on my own though would have been one of these small F1 race cars and I remember saving up a few months worth of allowance for it. Which set do you value the most? How do you manage funding your hobby as a Lego collector/builder? Where do you get your bricks? Part of it is knowing how to budget properly and the other part is knowing where to buy the parts you need for a good bargain. Being a 99% MOCer, I tend to shop at Bricklink.com often and have it consolidated abroad before being sent home. How do you address the hobby's requirements for storage space? I'm really OC about my toy collections so I had a custom Lego work/storage area built in my room that takes up around 1/3 of the room. Most of them are stored in bins and subdivided into separate compartments for easy access and cataloging. What storage and sorting methods can you recommend? I highly recommend following an organization pattern that the specific builder would be most comfortable with. Personally, I go with this order: 1) Color -> 2) Size -> 3) Function.. I have containers divided into major columns per color and sort parts according to criteria 2 and 3. I also have a separate column for unique parts that are too rare/little to include in the colored bins. What made you start building MOCs? I've been scratch building with Lego as a kid and the idea of building a new toy out of existing parts really appealed to me back then. Whenever I'd get a set, I'd assemble it based on the instructions, play with it, and dismantle it after a few weeks to make something completely new and I really enjoyed that. As I mainly build robots/mechs, I always start with a concept in mind of what I want to build. I then try to interpret that concept visually, usually noting key design features that would reinforce the concept like a specific shape, color, or function. Sometimes, I even do an initial rough sketch to plan out what I intend to build and research on the concept to really give me a good idea of what direction I want to take the build towards. The actual building process only starts after all the planning is done. I almost always start with a head design, then torso, and finish the legs then I do an evaluation. I add in the arms and do a reevaluation then finish the build with the backpack. Lastly, I make the equipment like weapons, etc. How long does one project usually take? On average, it takes me around a full week to make one build. Sometimes more if I'm exploring a new idea as the planning phase takes much longer. What indicators/benchmarks do you use to measure your satisfaction with the quality of your work? Prior to uploading a build to social media sites, I consult with a few close friends and my girlfriend for any comments, feedback, or suggestions. Obviously, as the creator of the build, one would have a distinct bias to your own work so I always seek out the critiques and opinions of people I respect for their sense of aesthetic and skill. Only then do I upload to Facebook and Flickr and I just monitor the responses from there. Where do you get the inspiration for your MOCs? Who/What are your influences? I've been in love with the mecha genre ever since I was a kid. I was introduced to Gundam kits around 5-6 years old and loved it the moment I got my first kit (a Gundam Sentinel FAZZ, the kind of kit that required super glue). Obviously being a kid, I had to ask help from my eldest sister to help me with it but that experience cemented my love for the genre ever since. I ended up watching most of the Gundam franchise along with most of the major mecha anime since the 1980s until the present. Nowadays, I spend roughly an hour every day/other day looking for anything mecha related over at Pinterest. I also keep an eye out for any great robot builds (either plastic model kits, Lego, or any material as long as it's a robot). I'd say the works of Mamoru Nagano, Katoki Hajime, Masamune Shirow, and Kunio Okawara heavily influence my mecha aesthetic. What are the challenges you have encountered as a MOCcer and how have you dealt with them? The biggest challenge would be having to deal with mediocrity. There was a time that I found myself in a situation where builds where "good enough" and after a while, I knew that "good enough" was a lazy excuse and I hated the thought. That and now my current challenge is having so little time to build since I'm mostly out of town for work for weeks at a time. What do you think are the necessary skills/attitude/characteristics a MOCcer must possess? How do you think these could be acquired or improved? The #1 for me is being open and responsive to criticism and new ideas. Having an open mind to critiques and feedback means you can acknowledge flaws but this should be followed by correcting those in future builds. #2 would be staying "hungry" in the sense that one should never be contented or complacent with where/who/what they are in the present. #3 is to stay humble. Know that someone somewhere is much better at what you do and acknowledge that not with dissent but with respect. Instead of taking this negatively, see it as a positive driving force to make you want to be a better builder. What is your biggest accomplishment as a MOCcer? 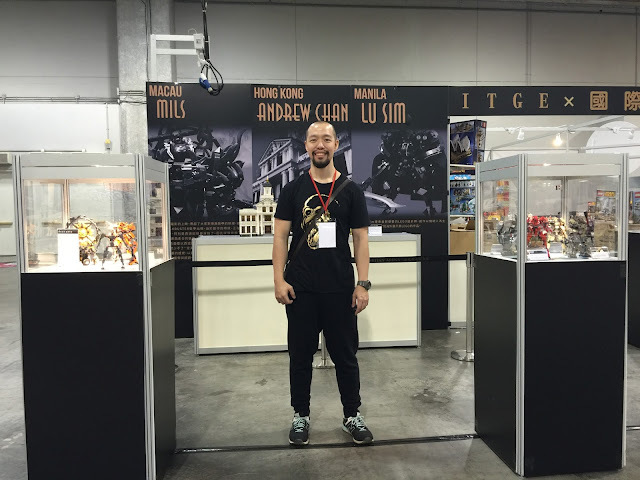 I did an exhibit over at Macau last Dec. 2015 as part of a toy convention and was 1 of 3 Lego builders they got (one from HK, the other from Macau). It was a great experience and I got to showcase around 12+ of my mechs. It was great seeing people gaze at your works, taking tons of pictures, and having all sorts of expressions while looking. I was also scary as heck, having to transport my collection via checked-in cargo and the thought of losing my collection was constantly on my mind (good thing nothing happend :P). Runner up: having produced my own e-book on mech building. It isn't much but knowing people are buying it and reading it makes me really happy. What would be your advice to budding builders? Regardless of what you want to build, do the research and love the theme you're doing. Stay hungry for more techniques, ideas, and any information that could help and drive you to create. Oh and stay humble. Thanks for reading another BOM segment here on Nothing But Brick. It's really a humbling and fulfilling experience for me when I feature these amazing builders on the blog. I thoroughly enjoy reading about their experience as a Lego fan. I really learn a lot from them and they also give me something to aspire to as an AFOL. I really hope you guys do too. Special thanks to Sir Lu for making this feature possible. Have a blessed Sunday, everyone! Till next entry!